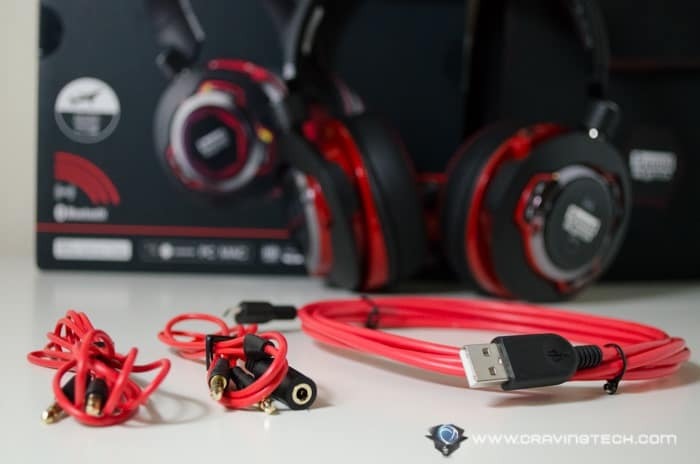 A comfortable gaming headset powered by many advanced technologies such as NFC connectivity, Active Noise Cancellation, 7.1 virtual surround, and other sound quality enhancements. 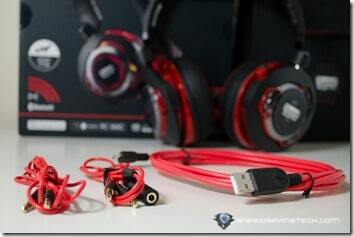 Most gaming headsets are designed for gaming. Not saying that it’s wrong, but to most users, gaming is not the only activity to do in the planet. Music listening, for example, has become a part of our daily lives. Or watching movies on our PC or laptop. Rather than creating different headsets designed for different activities, the team at Creative has made the ultimate headset for you. 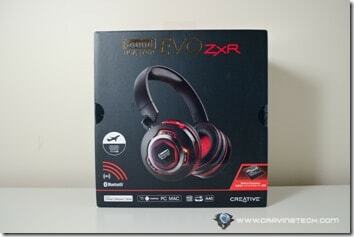 Creative Sound Blaster EVO ZxR is made for watching movies, listening to music, and playing games. In fact, you can switch between different activity profiles which will enhance your experience in a specific activity. More on this later. The package comes with an airplane adapter and also a handy carrying case, perfect for travellers. The headset looks kind of bulky but it is comfortable. 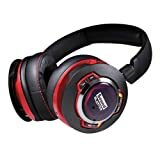 With adjustable headband and the amount of paddings (on the headband and the cups), I played Titanfall for hours with the EVO ZxR without any discomfort. The USB cable is also rugged and solid. I also like that there is a handy volume control dial on the headset, which is easy to reach and always comes in handy. The sound quality coming from the EVO ZxR is superb. 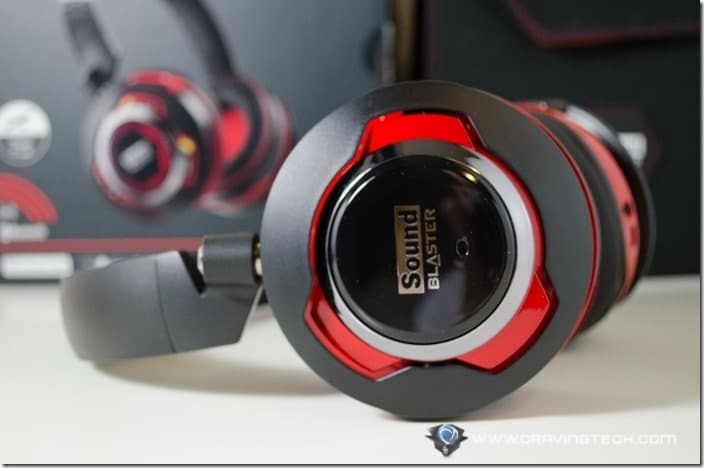 This is because the headset itself is powered by large 50mm speaker drivers and most importantly, a built-in SB-Axx1™ audio processor (the same processor powering the Sound BlasterAxx AXX 200 portable speaker I reviewed some time ago. 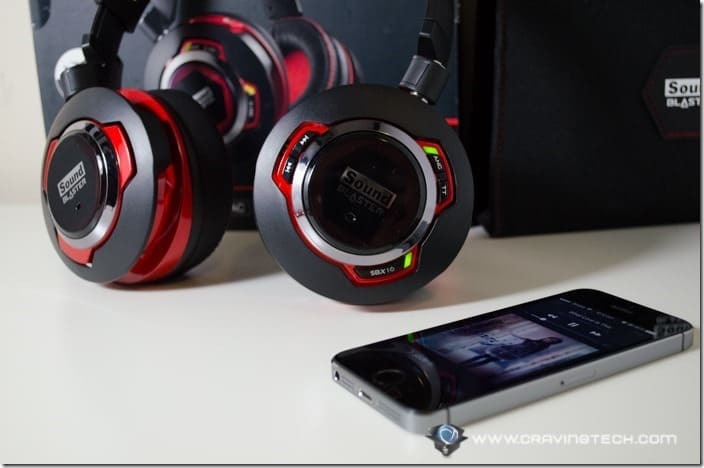 For music listening, it’s a no brainer – the sound quality is crisp and clear. With the help of the audio processor, it is as if all my audio files have been enhanced in terms of sound quality. Like they are being “unmuffled”. The headset itself is quite boomy (strong in Bass) so if you are a Bass lover, you’ll love this headset. In terms of gaming, more Bass gives better immersion in FPS (First Person Shooter) games. 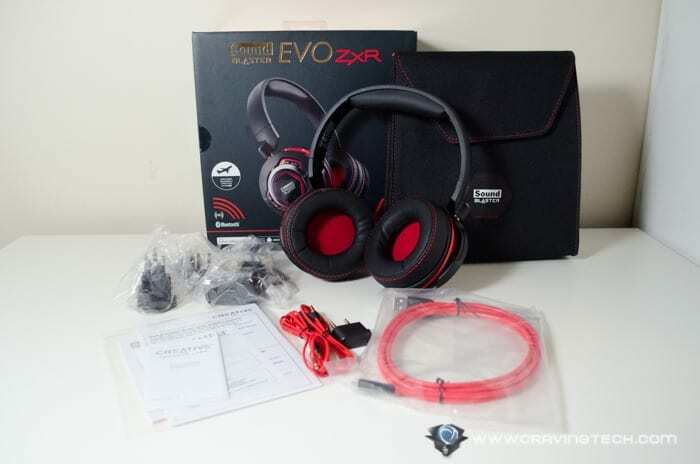 My music practice (for playing the Bass guitar) with the EVO ZxR has become easier as I can listen to the low frequencies better. 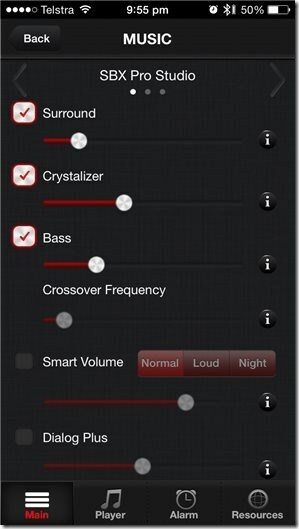 If you think that the Bass is too much, you can adjust it via the Creative software or app. 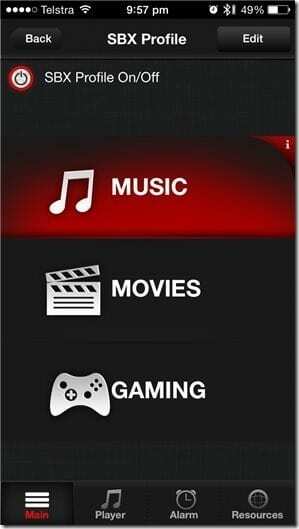 You can switch between 3 different set profiles for Music, Movies, and Gaming, depending on your activity. In the Movies profile, for example, SBX Dialog Plus is enabled by default. With Dialog Plus enabled, voices are enhanced so you can hear dialogs better. I’ve tried switching between profiles while watching a movie and I can sense the difference. Again, you can adjust the Dialog Plus slider to your personal preference. 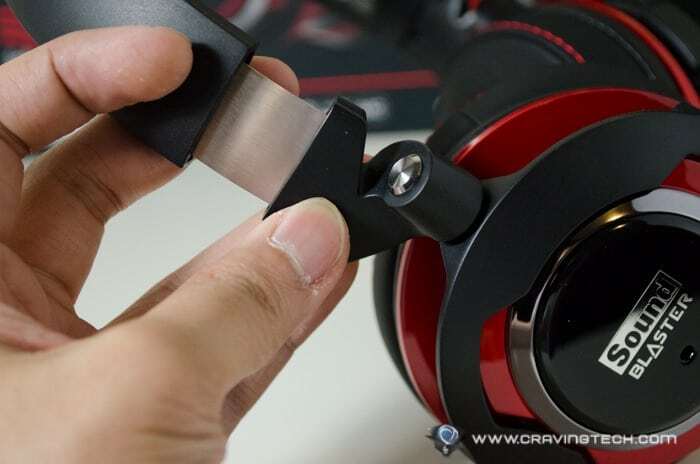 I wish there is a quick profile switch button on the headset though, as it can get quite tedious trying to switch from one profile to the next – which can happen pretty often as you switch from gaming to music listening, and so on. 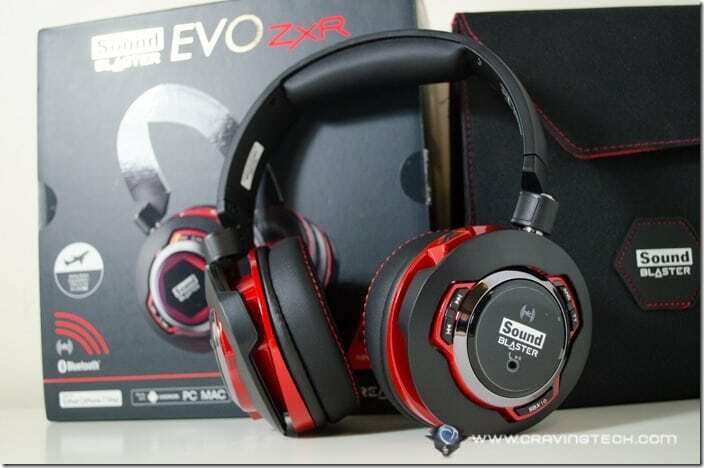 So far, I’ve given you an impression that the EVO ZxR is a headset for the PC. That is correct, but not quite. EVO ZxR also supports NFC, Bluetooth, and a 3.5mm connection, in addition to connecting via USB. 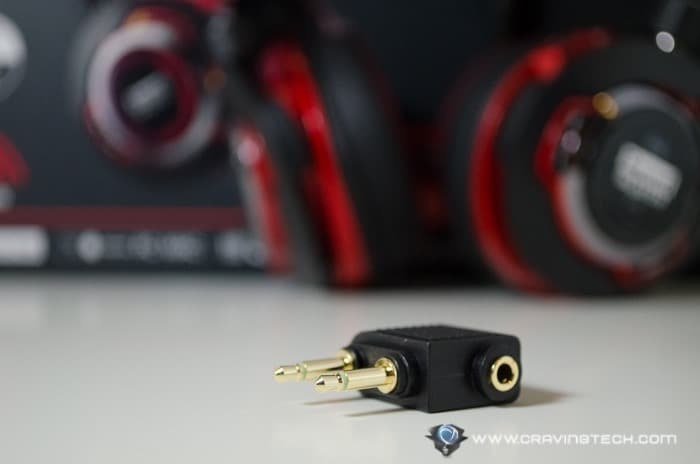 This versatility makes the EVO ZxR a great headset for just everything. With NFC or Bluetooth, you can pair the headset with your phone to also make and receive calls. Another interesting feature is the analog 4-pole-jack that also allows you to connect the headset to external speakers. This way, you can utilise the headset as a portable, high-quality sound card or when you just want to direct the output externally for parties or conference calls. The headset also works with PS4. 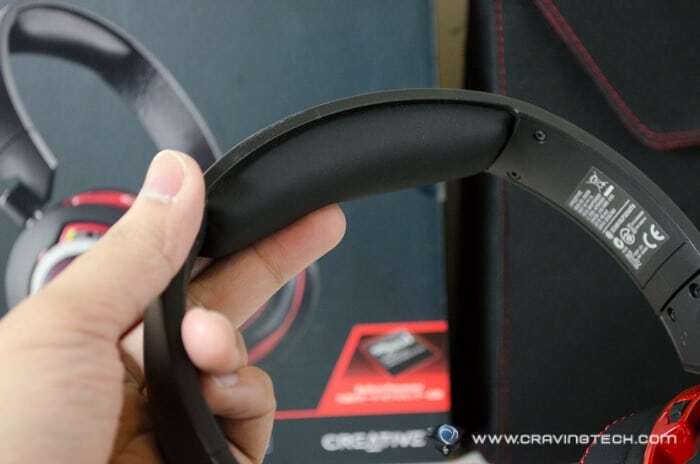 The headset is charged when plugged in a USB port and can run up to 8 hours of playtime, according to Creative. For PC gaming, you have to plug the headset to your computer’s USB port. 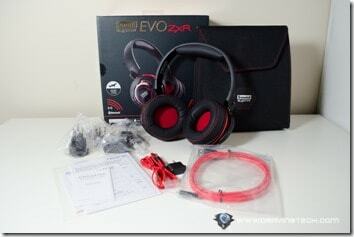 The EVO ZxR is a headset without the microphone boom. This clean design works well for those who would like to wear the headset outside. The microphone works together with Creative CrystalVoice technology to make your sound clearer without any design compromise. There aren’t many earphones and headsets out there equipped with ANC. If you play lots of games in noisy environment or perhaps a DJ in a nightclub, you’ll learn to appreciate the EVO ZxR’s ANC. During my tests, the ANC does not totally shut every noise out completely but can muffle most of them. Conversations can still be heard, though at reduced volume. Fireworks lost its “boom”-ness with ANC turned on (yes, I did try this while there were fireworks near my apartment). Traffic noise are being reduced to a minimal too, as if you are placing your hands on your ears. Overall, the feature works great and I can’t wait to try this headset on an airplane. Creative kindly includes a plane adapter, perfect for watching movies without being distracted by the engine noise (not to mention the Dialog Plus feature I described earlier for better movie watching experience). Without having to take the headset off, you can listen to your surroundings with the press of a button labelled “TT”. So, for example, when someone talks to you while you are listening to music, you can press that “TT” button below the ANC button to listen. 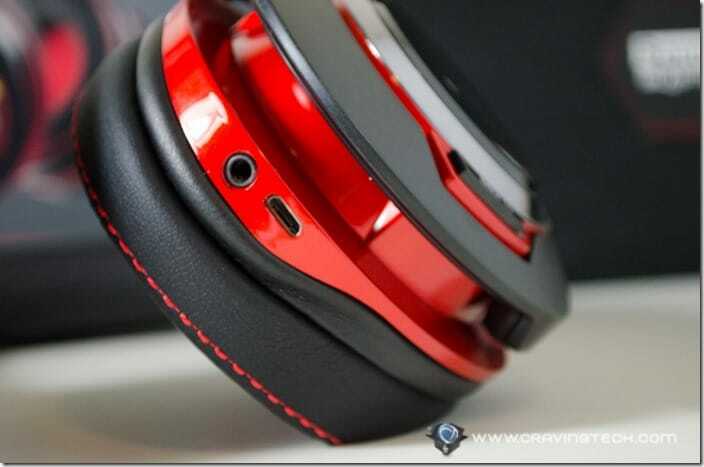 The sound will also be amplified through the ear cups. It’s quite handy when you are playing games in a LAN party or trying to listen to an announcement without having to take the headset off. Outside of these scopes, however, I’m not sure how the society will react. Most people (including myself) think it’s rude when you talk to someone with a headphone on your ears. 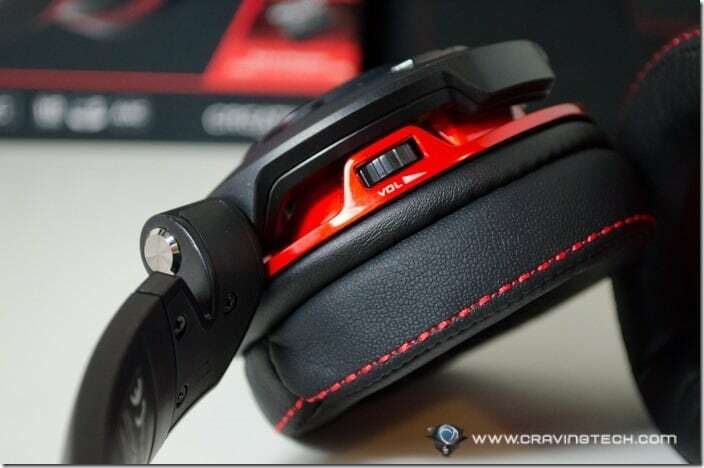 The headset looks thick and a bit bulky, however, and you can only connect to the PC via USB. 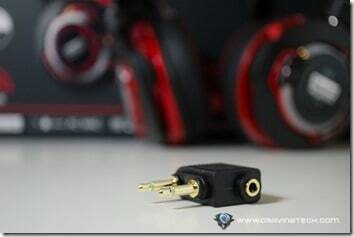 We wish it supports wireless mode as well but I guess the price will have to go up significantly for adding that in.